This apartment, located in via Borgo Pinti 54, has a large lounge in typical florentine style with a sofa bed and a kitchen-dining room. The fitted kitchen is tiled in blue and white. The dining room has a table that seats six persons. 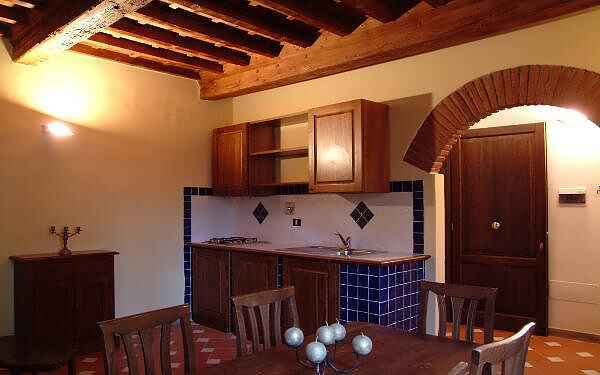 The ceilings have wooden beams and the floors are in cotto. The main bedroom with the double bed, is close to a smaller bedroom where a single bed stands. The bathroom is in tuscany marble.